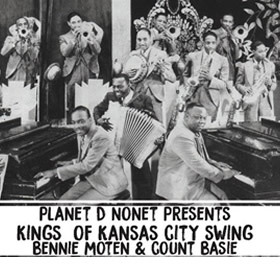 Kings of Kansas City Swing: Bennie Moten & Count Basie on Eastlawn Records. Congratulations Justin Jozwiak, Jim Holden, Goode Wyche III, James O'Donnell, Ken Ferry, John Paxton, Shannon Wade, Michael Zaporski, RJ Spangler, Camille Price and Dan Devins! 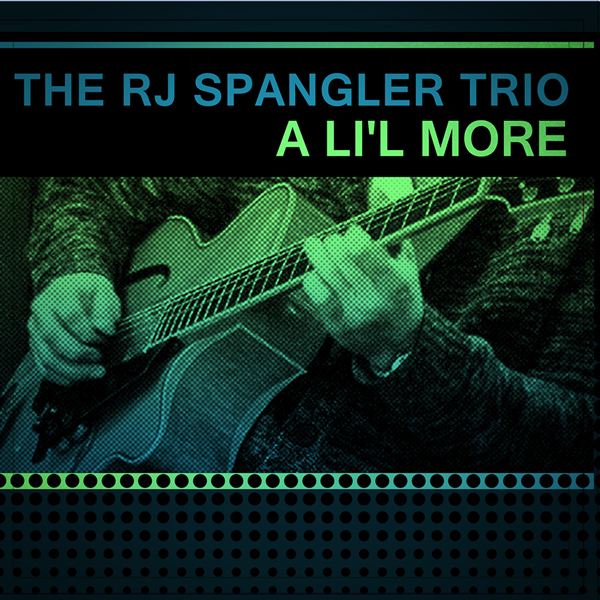 RJ Spangler Trio - "A 'Lil More"
The recent "Record Store Day" seemed like a good way to tie in to my latest recording, a 45 rpm 7" vinyl RECORD (avail as an EP & as download as well) by my group, the RJ Spangler Trio (Ralph Tope & Duncan McMillan, wsg's Keith Kaminski & Akunda Hollis). Funky Detroit organ jazz. Record Store Day was conceived in 2007 at a gathering of independent record store owners and employees as a way to celebrate and spread the word about the unique culture surrounding nearly 1400 independently owned record stores in the US and thousands of similar stores internationally. There are Record Store Day participating stores on every continent except Antarctica. Or...you can order it online at our Bandcamp store! Planet D Nonet performance at the Michigan Jazz Festival at Schoolcraft College, Livonia, Mich. 7-16-17. Filmed by Laura Wyman for Wyman Video. 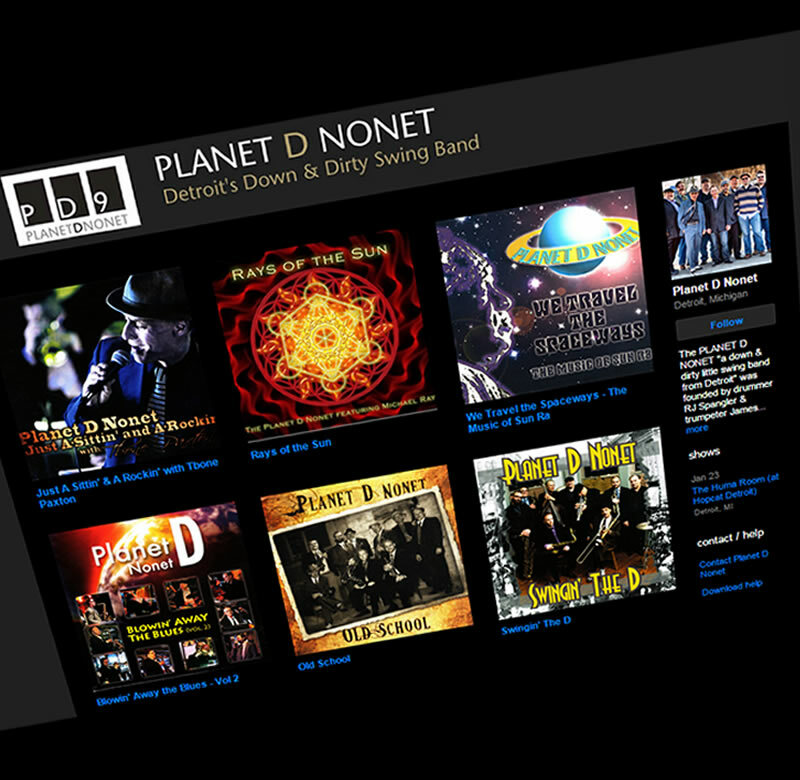 Planet D plays swing-alicious jazz, booty-shaking big band, funk-atrocious fusion and some tribal-y tunes. And everything served Detroit-flavored. 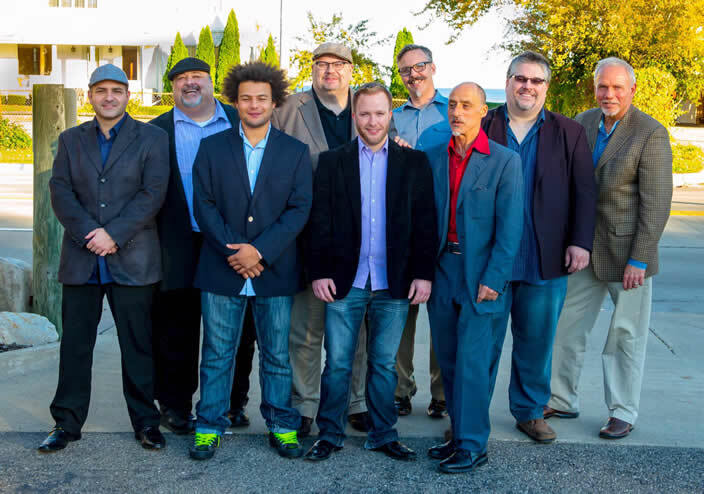 Justin Jozwiak / alto sax & cl, Jim Holden / tenor sax & cl, Joshua James / bari & alto sax, cl, James O'Donnell / trumpet, vox & co-leader, Ken Ferry / trumpet, John "Tbone" Paxton / trombone & vox, Michael Zaporski / piano, Shannon Wade / string bass, RJ Spangler / drums & leader.